Read moreHow To Use Laser Level To Hang Pictures? Read moreHow To Use A Laser Level For Grading? How to Use A Laser Level Outdoors? From a simple task like hanging a picture to the critical job like installing a ceiling, a laser level is unparalleled to its services for indoor tasks. But, using the laser level is equally effective and necessary for outdoor functions too. Before moving to steps on how to use a laser level outdoors, let’s take a look at some outdoor uses of laser level. 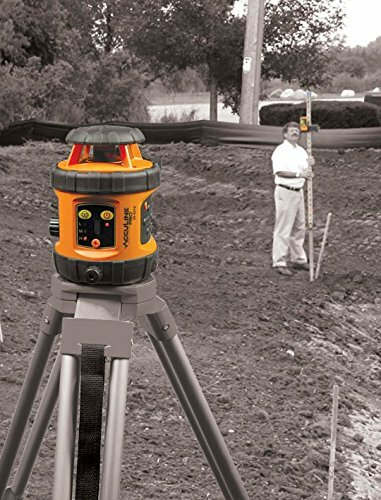 How to Use A Laser Level Outdoor? Ensuring proper drainage system, etc. Read moreHow to Use A Laser Level Outdoors? How to Use A Laser Level to Align Fence Posts? Keeping your private area safe from prying eyes, nothing can be quicker and cheaper option than building a fence. While building a wall will be a permanent, but costlier option, on the other hand, a fence will be more economical and reliable too. Though the traditional way of building a fence is laying the four corner posts and tie string, this one will be very difficult and tedious while working in a larger area. Moreover, our technological advancement has made our job easier by inventing several tools. While approaching to build a fence, the first problem that generally occurs is to make the line straight while laying it out. Along with making the fence look good, correct initial steps will save you money, energy and time along with making the work easier and to perform the task, a laser level, can be the best option. Reducing your effort, it will ensure a perfect straight line for your fence. Read moreHow to Use A Laser Level to Align Fence Posts? The most important thing that you need to get right when installing cabinets is that they should be installed level so that the doors can open easily and it doesn’t ruin your kitchen. After laboring for hours, you might end up noticing that all your hard work is slipping away on the slanting surface of wrongly installed cabinets. Believe me, there is nothing more annoying than that. With the help of a good quality laser level, you won’t have to worry about that bad scenario. Nowadays, a laser level is one of the most useful devices that can make the tedious process of cabinet installation quicker and simpler. Read moreHow To Install Cabinets With A Laser Level? The mark of a professional electrician is that he upgrades his tools based on latest industry standards. He keeps himself up-to-date with current news about technologies in the field and tries to incorporate them into his own work. Anyone can go around with a multimeter but only a proficient electrician will carry and know how to use a clamp meter. Clamp meters have been around for years and yet most electricians still depend on the humble multimeter for current measurements. Read moreHow to Choose The Best Clamp Meter?